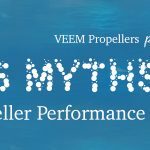 Treasure Coast Propellers was founded in Stuart, Florida in 1996 by Herb Jarrett, a native Floridian with the mission to create a propeller shop focused on performance enhancement and efficiency. 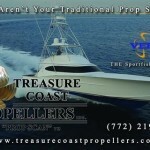 Using Prop Scan (an innovative, computer-based system developed in Australia), and with the collaboration of Richard Garlington, John Vance, Mark Willis, and Michael Rybovich, the focus of Treasure Coast Propellers evolved toward the design of custom propellers for renowned sport fishing yachts. At the end of 2015, Treasure Coast Propeller’s was purchased by Paul Savard of North Palm Beach, FL. Paul was the Lead Repair Technician for the company since 2012. Paul’s initials years with the company (along with personal experience since childhood) allowed him to perfect his skill-set in all aspects of propeller repair, sizing, and boat design and form strong relationships with clients and local boat-builders. As the owner of Treasure Coast Propellers, Paul continues to expand the company while remaining dedicated to all past and current clients. His goal is to provide a seamless service focused on efficiency, integrity, and, ultimately, delivering the best quality product. Most boat owners would like for their boats to have more speed, better fuel economy, and less vibration. Chances are good that improvements can be made in all three of these areas when the boat’s propellers are properly tuned. The two most important measures of a propeller’s effectiveness are its camber and pitch. When these are not right, performance will suffer. Your boat will use more fuel because of wasted shaft horsepower. Pitch and camber inconsistencies can also lead to cavitation and premature blade failure. Plus it is the main cause of boat vibrations. All of which means your boat is not performing to its potential.